I am pleased to announce that the winner of the Watch of the Year award (WOTY) 2011 is Grönefeld. 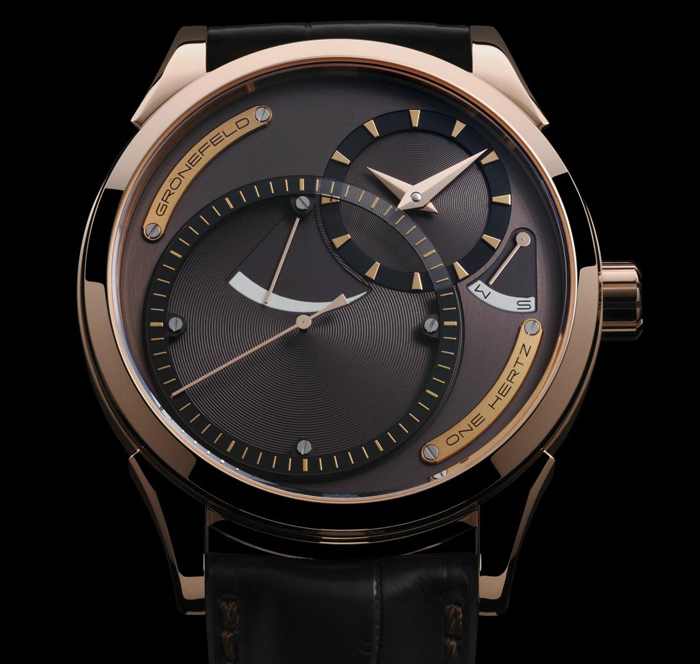 Dutch watchmakers Tim and Bart Gronefeld presented in 2011 the "One Hertz", the world's first and only production wristwatch with independent dead seconds (secondes morte in French). The One Hertz features Grönefeld own proprietary movement and indicates hours and minutes on a sub-dial at 2 o'clock; large sub-dial for the dead seconds; power reserve indicator at 12 o'clock; and an innovative setting-winding indicator at 3 o'clock.